Helping you collect consumer feedback and turning them into insights, so you and your business can find out how to really delight your consumers! CloudCherry has raised $9 million in second round of Series A funding led by US-based early-stage venture capital firm Pelion Venture Partners. At the end of the day - creating awe-inspiring customer experience memories or CX memories, all boil down to the voice of customer. Why Nudge.ai? Reach out to the decision makers at CloudCherry with a personalized email - let them know that you found their recent news mention interesting. Nudge.ai’s relationship intelligence platform can help you find the right executive to reach out to at CloudCherry, such as Rose Bentley, Svp of Sales & Gm North America, or Vinod Muthukrishnan, Co-Founder & Chief Executive Officer. Then get in touch and start a conversation. Executives can be difficult to reach, but every company has connectors who bring together people and ideas. At CloudCherry, people like Rose Bentley, and Vinod Muthukrishnan are likely connectors. When CloudCherry is mentioned in the news, Nudge.ai often sees topics like SAAS, and Venture. If your conversation focuses on these topics, you’ll probably get CloudCherry’s attention. When CloudCherry is mentioned in the news, companies such as Hubspot, Vidyard, and Atlassian are often also mentioned. These companies can serve as customer examples. Employees who are often in the news are usually open to starting conversations or exploring ideas. Nudge.ai's sales AI saw Rose Bentley, Vinod Muthukrishnan, and Prem K Viswanath from CloudCherry recently mentioned in the news. SaaSBooMi will feature product showcases, workshops on go-to market strategy and investor-readiness sessions. 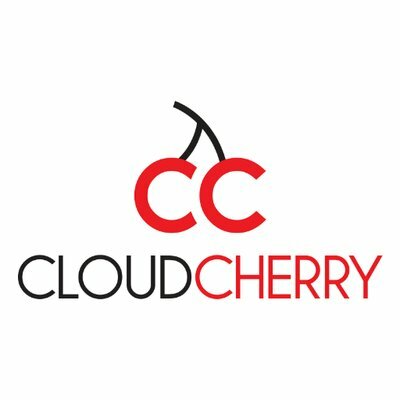 Who in your network can introduce you to CloudCherry? Nudge.ai finds the best pathway to reach contacts at this company.